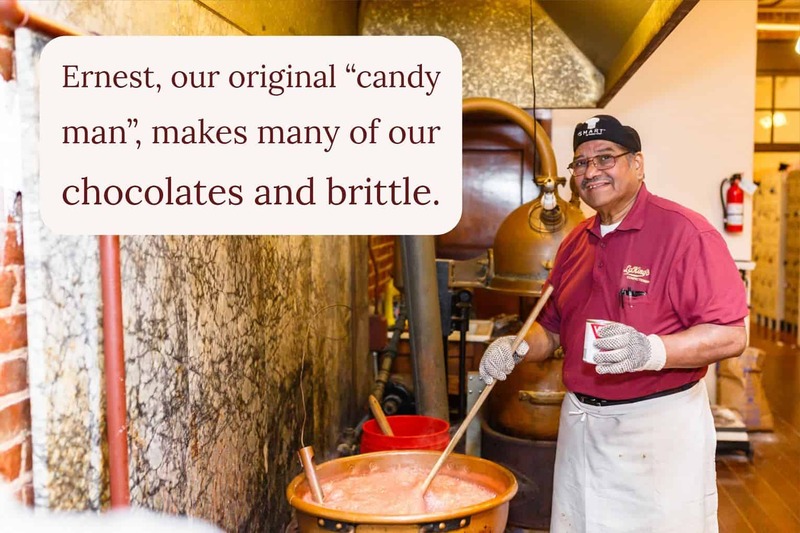 In 1927, Jimmy King began making candy in Houston while learning the trade from ‘Old World’ candy makers. 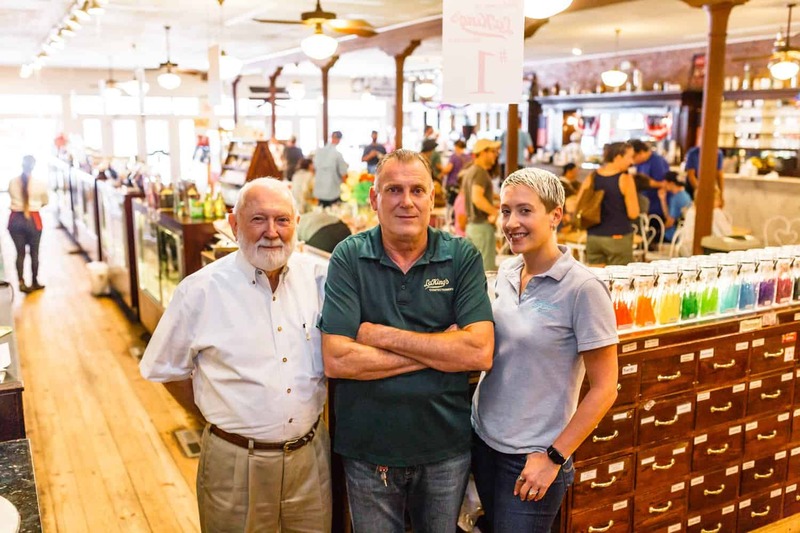 In 1976, Jimmy’s oldest son, Jack, moved his family to the historic Strand, in Galveston, to recreate an old-fashioned confectionery. He used the 19th-century formulas and methods, handed down to him, using traditional equipment and procedures to make confections. 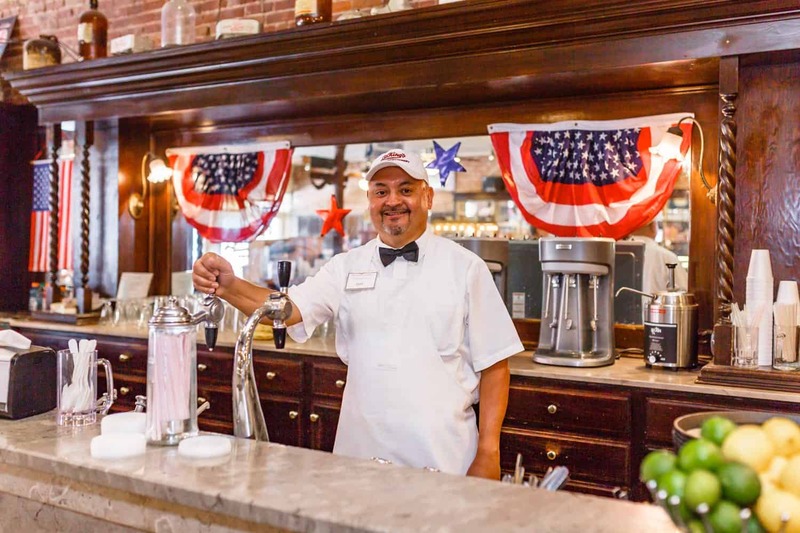 La King’s features a working 1920’s soda fountain serving malts, shakes, ice cream sodas, sundaes, splits, floats and your favorite fountain treats. 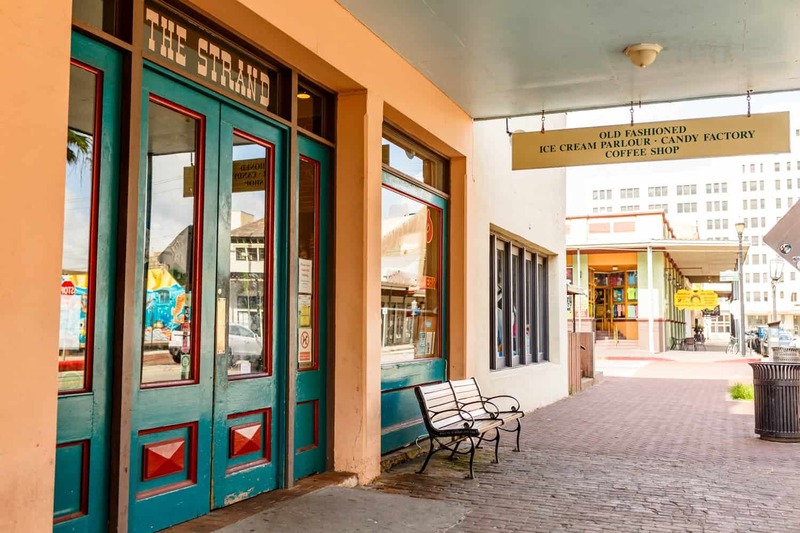 We proudly make and serve “Purity” ice cream which is Texas’ first ice cream manufacturer, founded in 1889 on Galveston Island. 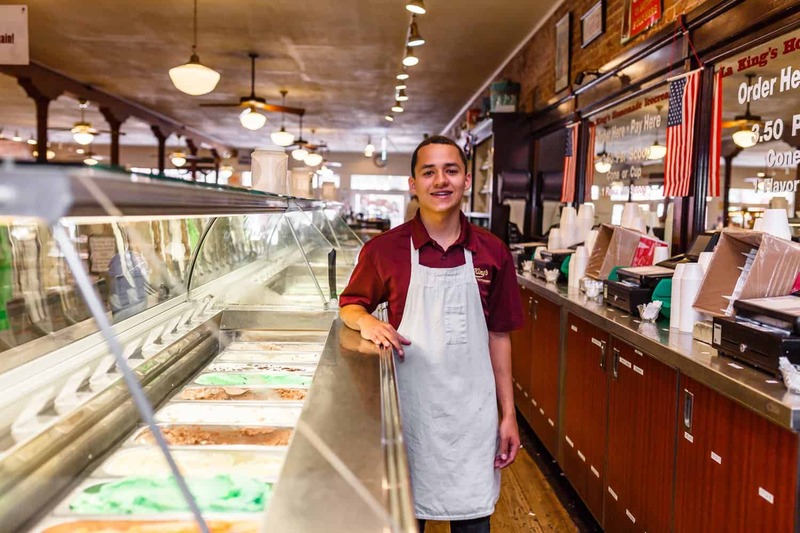 Our master candy maker, Ernest Torres, delights the crowds with his old-time specialties like Peanut and Peco Brittle, Divinity, Pecan Pralines, Hand-Dipped Chocolates, Fudge and our famous Salt Water Taffy, made right before your eyes, on antique equipment. More than FIFTY candies are made from ‘old-time’ recipes! 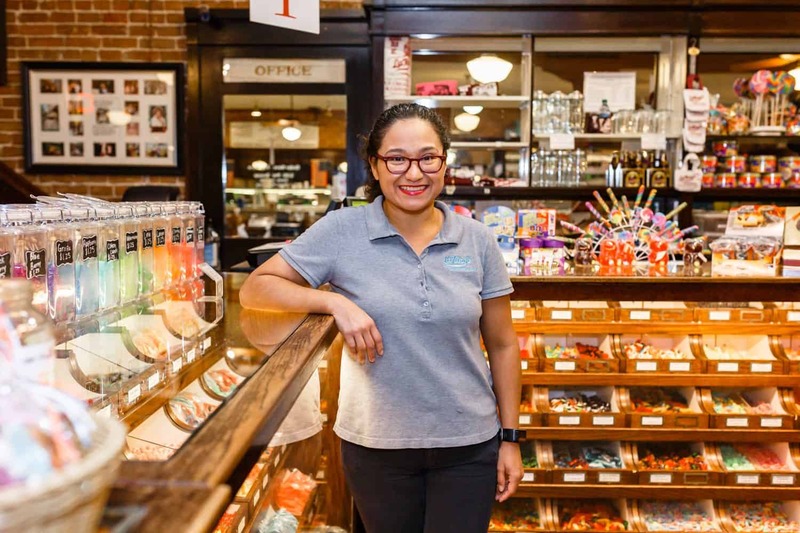 If you have been looking for a specific candy or treat and you don’t find it in our store or online, please let us know as we can’t possibly list all the items we carry. However, with nearly 100 years of experience, we certainly know where to find it and would be happy to do so, if requested.